This is a VINTAGE SEWING PATTERN *see end of adfrom 1945! There are so many adorable APRONS to make! 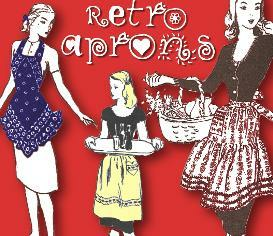 21 Vintage APRONS in all! MOST USE 1 YARD or LESS! Excellant DIRECTIONS for each APRON! "Utility Apron" and "Dusting Cap"
"Father & Son Bar-B-Q Aprons"! 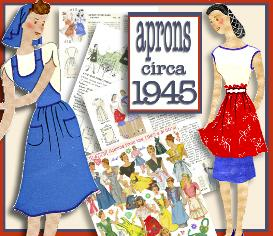 "Mother & Daughter Matching Aprons"
And even how to MAKE an APRON from an OLD DRESS! WONDERFUL INSTRUCTIONS* for making the Apron patterns from smaller GRIDS which I enlarged for easier viewing to the larger actual patterns! I have included a PRINTABLE GRID to make it super easy to transfer the drawing. PLUS! 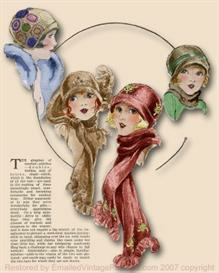 2 FULL COLOR pages of BEAUTIFUL APRON PATTERN COVERS - for Inspiration and Customizing YOUR Apron!! You can get this pattern as an DOWNLOADABLE PDF FILE RIGHT NOW!! 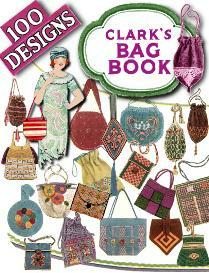 BUY 2 Patterns or Booklets and you can YOUR CHOICE of ANY other item for FREE!